Can the New Zealand media be trusted? When it comes to the most important "issue" facing the planet they have shown that they absolutely can't. Here is a letter that I and six other signaturies have sent to Radio New Zealand. I fully expect the response to be as full of weasel words and self-justification as anything that has come out of them before. A totally futile exercise, but what can you do? We, the undersigned are making a complaint about Radio New Zealand’s coverage of climate change. It is our contention that Radio New Zealand is censoring the most frightening news and downplaying the scale of the risks.It is, in fact, censorship by omission. As a consequence of Radio New Zealand’s chronic failures people have not been given the information they may need in the very near future to save their lives and/or avoid utter catastrophe. There has been horrendous news of heatwaves right across the northernhemisphere involving loss of life and multiple crop failures – including news that temperatures reached a completely unprecedented 41.5 degrees Celsius in Japan and 38 degrees Celsius in Britain in recent weeks. None of this has received more than scant coverage by Radio New Zealand, and stories showing that these heatwaves are occurring right across the northern hemisphere (not just in isolated places) have been totally ignored by RNZ. The biggest story of all involves the melting of Arctic ice to a point where the significant multi-year ice has almost disappeared and much of the sea ice has been reduced to about a metre thick. As this is reliant not just on weather conditions, but on the very warm waters melting the ice from below, we face the spectre that summer ice could completely disappear from the Arctic this year or next. When that happens the Arctic will lose its role as a planetary air conditioner, and the albedo effect, which sees most of the heat reflected back into space, will have gone. 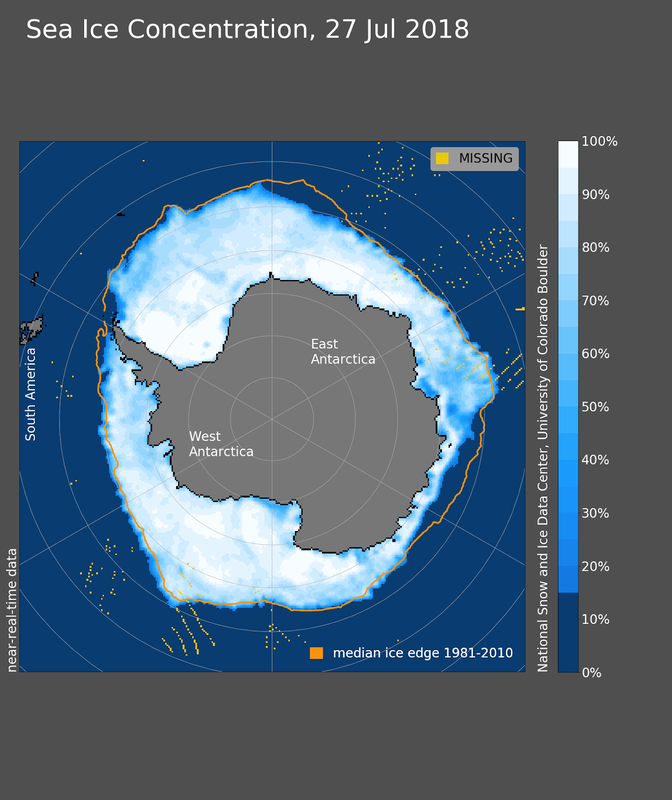 Evidence indicates that once the ice has gone, the latent energy that has gone into melting it will be available to create extremely rapid melting. This is highly significant to New Zealanders, as what happens in the Arctic does not stay there but will lead to changes that will effect every aspect of our lives (including, most significantly, the ability to grow food. It also raises the fact that there is evidence that either the runaway greenhouse effect has begun, or we are on the very cusp of it. Significantly for New Zealand, this is happening in a year when we have transitioned to an ENSO-neutral year and there are indications from NOAA and Australia’s Bureau of Meteorology that we will be moving into an el-Nino by the time our summer arrives. Similarly, Radio NZ has, in our opinion misreported the rapid changes in Antarctica by suggesting that ice there “is not melting like the Arctic”. This is contradicted by alarming evidence coming out, reflected in theinternational press but not by Radio NZ. Most recently, we have unearthed evidence that comes from the US National Snow and Ice Data Service (NSIDC) as well as the US navy that the concentration of ice is far less than one would expect in winter, when the region freezes, and the thickness of the ice is far less than would be expected at this time of year. Reporting on Antarctica should, in our opinion, go beyond the usual human interest stories and reflect the reality as seen by a range of scientists from New Zealand and overseas. All of this (or at least the bulk of it) is being ignored and there is no discussion or debate about it at the very time when it is most important. Radio New Zealand has a special role as a public service broadcaster under broadcasting standards, and should in our opinion should be reflecting this most serious state of affairs in its news, science and current affairs reporting. We would like to hear a credible explanation as to this state of affairs and how Radio New Zealand would envisage rectifying it. If the runaway greenhouse effect does begin it could become impossible to grow food in the near future and agriculture may collapse, leading to the collapse of civilisation. We realise this is not a mainstream view of things, but it is based on scientific reality. At the very least the censorship should end and the reality be fairly reported.